I am honoured to have been invited to participate in the Beatification of the Venerable Maria Serafina del Sacro Cuore this coming 28 May, 2011 in Faicchio, Province of Benevento, Italy. 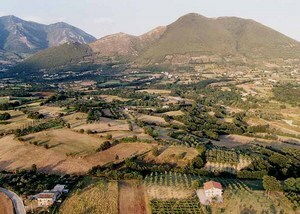 Faicchio is the hometown of my beloved great-grandmother Rosina Biondi Martino. Already as a little girl, Clotilde Michele, experienced her first apparition. Her Guardian Angel came to her with an invitation from the Madonna to consecrate her virginity to her. Clotilde received her First Holy Communion in 1858, and from that moment, her life was transformed by prayer, so much so, in fact, that she often spent long hours of the night kneeling in adoration. Home-schooled by her mother, Clotilde was raised to love virtue. She grew into a beautiful young lady, inspired with healthy and noble ideals. 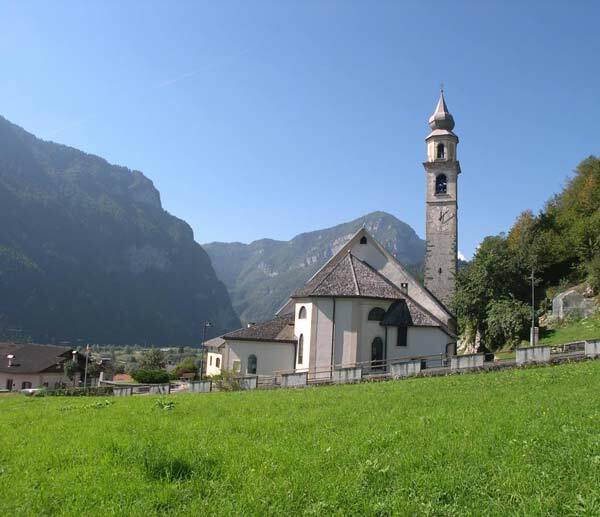 On the evening of August 2, 1867, while she was absorbed in prayer in the parish church of Imer (Veneto), the Madonna appeared to her in the midst of a multitude of Angels. This was the revelation that would mark Clotilde’s entire life. She was not yet eighteen years old, but she recognized that what the Madonna had shown her, by the will of Jesus, was her life’s mission: to found a new religious family that would have as its fundamental aim the adoration of the Most Holy Trinity in communion with the Angels, under the protection and guidance of the Mother of God. Counseled by a friend, Clotilde went to Venice to seek spiritual guidance of Msgr Agostini, a future Cardinal and Patriarch of Venice. Msgr Agostini advised her to draft the Rule of the new Order, so as to give a a first expression to her inspiration. Clotilde, frightened at the prospect of undertaking so daunting a task, albeit it one assigned her by the Madonna, returned in sadness to Imer, having written nothing. Shortly thereafter, Clotilde relocated to Padova close to a certain priest, Don Angelo Piacentini. To him she confided her doubts. She asked for light, and meditated on her eventual vocation. Clotilde remained nine years under Don Piacentini’s direction, that is, until 1876. In 1878 she realized that, without her knowledge, her family was arranging for her to be given in marriage to a young man of Imer. She responded by fleeing to Epfendorf in Germany where her parents had moved in order to find work. Clotilde remained in Germany until 1885, working as a nurse in the local clinic operated by the Elizabethan Sisters. During this time, Clotilde as remarkable for the distinctive grace that emanated from her, and for her self-sacrificing service of the sick and needy. Clotilde’s sojourn in Germany was marked by the death of both parents: her mother died in 1883, after years of immobility, confined to bed, and her father died in 1885. Clotilde decided then to return to Imer, where, in spite of being alone for two years, she set about clarifying her inspiration and launching her project. In fact, together with her niece Giuditta, Clotilde decided in May 1887 to make a pilgrimage on foot to Rome, halting along the way in various sanctuaries dedicated to the Madonna. By doing this, Clotilde hoped to receive a further sign from heaven; at the same time, she gave witness to the strength of will behind her idea of founding a new Institute, an idea that never left her. After nearly three months of travel, Clotilde and Giuditta reached the City of the Pope and sought hospitality from the Sisters of Charity, Daughters of the Immaculate (known as the Suore Immacolatine). This Institute was, at the time, only recently founded by Sister Maria Fabiano; the latter still governed the young Institute as Superioress General. Clotilde took the veil among the Roman Immacolatine, receiving the name of Sister Maria Annunziata. She remained there until 1891, charged with the orphan asylum and also serving as Mother Superior of a convent in the little village of Sgurgola in the diocese of Anagni. In the course of her pilgrimage towards Rome, Clotilde came to know, in Assisi, the Franciscan Father Francesco Fusco da Trani. The Franciscan priest wrote Clotilde, living at Sgurgola, convincing her to leave the Immacolatine, and inviting her to go to Piedimonte d’Alife, where the Bishop, Msgr Antonio Scotti had plans to establish a new Order. After meeting with Msgr Scotti, Clotilde realized that their two projects were not at all similar. 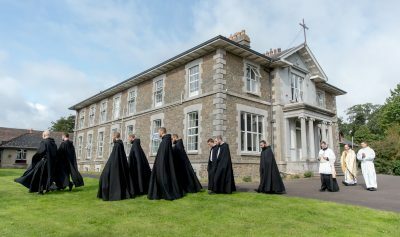 The Bishop desired to establish a Poor Clare monastery of strict observance patterned after a recent reform, while Clotilde sought to join active works of mercy to a life of adoration in imitation of the Angels. 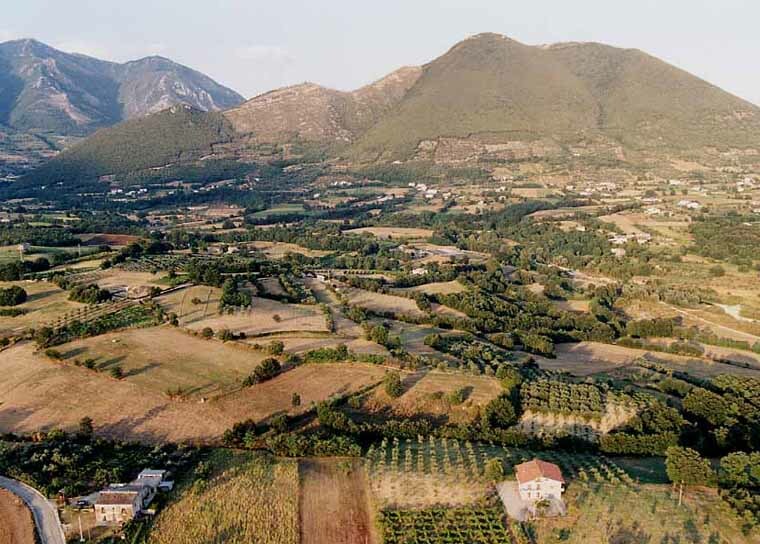 Leaving Piedimonte d’Alife, Clotilde moved to Caserta. There, the forty-two year old foundress together with Filomena Scaringi (Sister Maria Caterina) stayed with a family that provided her with material and spiritual support. She set up her own house in Casolla, a section of Caserta, together with two other young women. It was, then, the bishop of Caserta, Enrico De Rossi of the Princes of Castelpetroso who authorized the religious vestition and consecration of the first give Sisters of the Angels on 28 June 1891. Clotilde assumed a new name in religion, becoming Mother Maria Serafina del Sacro Cuore. The first headquarters of the Sisters of the Angels was a building in the Briano section of Caserta where, even today, there is a house of the Congregation. Father Francesco Fusco was chosen as the first Spiritual Father of the new Institute. The Order of the Sisters of the Angels, Adorers of the Most Holy Trinity, was born. The following year a nucleus of Sisters was sent to Santa Maria Capua Vetere to direct the Lucarelli Orphanage, the first branch house of the Institute. During this period the Sisters of the Angels began to make themselves known among the people, dedicating themselves particularly to the service of the poor, to orphaned children, and to abandoned youth. Beginning in 1895, Mother Serafina was gravely ill. At first, she had no intention of submitting to medical treatment. During the same period, the Sisters of the Angels, and their works and services, became better known in the region; their facilites expanded, welcoming more and more children. It was during this period that a significant event in Mother Serafina’s life took place; this event was later reported in the acts of the process of beatification. While at Sommana di Caserta Vecchia for a prescribed time of rest, a young seminarian possessed by the devil arrived in the garden of the convent and asked for Mother Serafina. The other Sisters, wanting not to fatigue Mother Serafina, told the young man that she was not a home, but he, aware that they were lying, began to inveigh against the Sisters in an inhuman voice that sounded as if it were coming from the throat of a beast. Mother Serafina then approached and commanded him to be quiet. The diabolical force in the young man was shouting: “You are damned,” and when the Sisters asked how many demons were present, the same infernal voice replied, “We are seven.” Mother Serafina took the tormented seminarian aside to listen to him, and with prayers and signs of the Cross made with Holy Water succeeded in performing the needed exorcism. The house in Faicchio was opened in June of 1899; it would later become the Congregation’s Institute of Formation. In this house, on 24 March 1911, the feast of the Archangel Saint Gabriel and the vigil of the Annunciation, Mother Maria Serafina died, worn out by physical sufferings. Mother Serafina, being in a critical stage of her illness, had been prepared for her death a few months earlier when her own mother appeared to her in a dream saying that she would not live beyond the feast of the Annunciation. Mother Serafina’s tomb remains in Faicchio today. As so often happens in the lives of founders of new religious Institutes, Mother Maria Serafina suffered from countless criticisms and from differences of opinion within her own Congregation. She succeeded nonethless in helping all to see the just point of view. In the Sannio region alone she founded fifteen mission houses to welcome orphan girls. Each of these houses gave instruction in embroidery, tailoring, and sewing. The Cause of Beatfication of Mother Maria Serafina Micheli was promoted by the Congregation of the Sisters of the Angels and received the Nulla Osta of the Holy See on 9 July 1990. 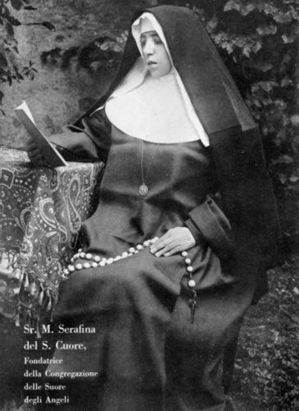 That same year the first official biography was published: The Woman of the Sanctus: A Life Open to Heaven, Sister Maria Serafina del Sacro Cuore. Finally, in July 2009, Mother Maria Serafina was declared Venerable. 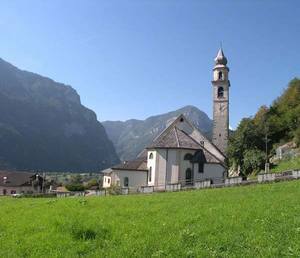 Her beatification will take place this May 28 2011 in Faicchio. What a beautiful account, Fr.! I love it!